An Iceland road trip is high on many travellers wishlists, but the thought of having to drive in Iceland often puts people off actually making this dream a reality. 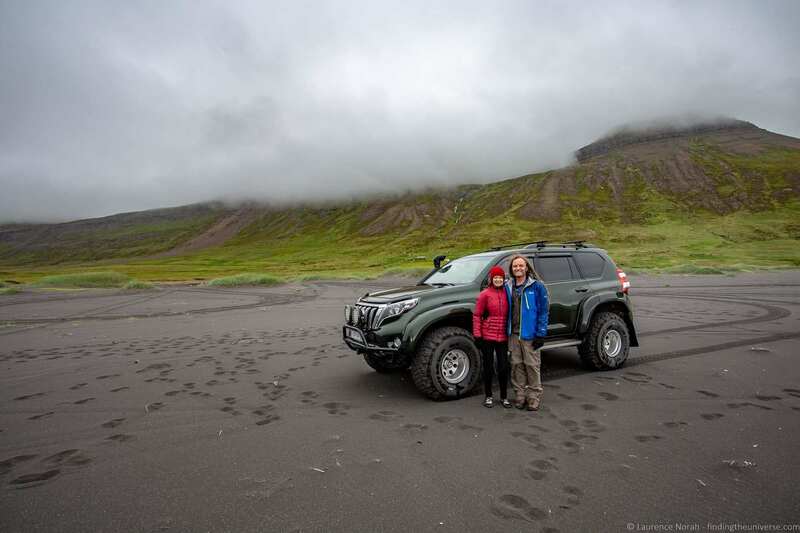 We’ve toured Iceland by car a number of times and driven thousands of miles in the country. In today’s post, we’re going to share some of the most important things you need to know about driving in Iceland, so you can decide if hiring a car and doing a self-drive road trip is for you. What are the Speed limits in Iceland? What are the License Requirements for Driving in Iceland? What are the different Road Types in Iceland? 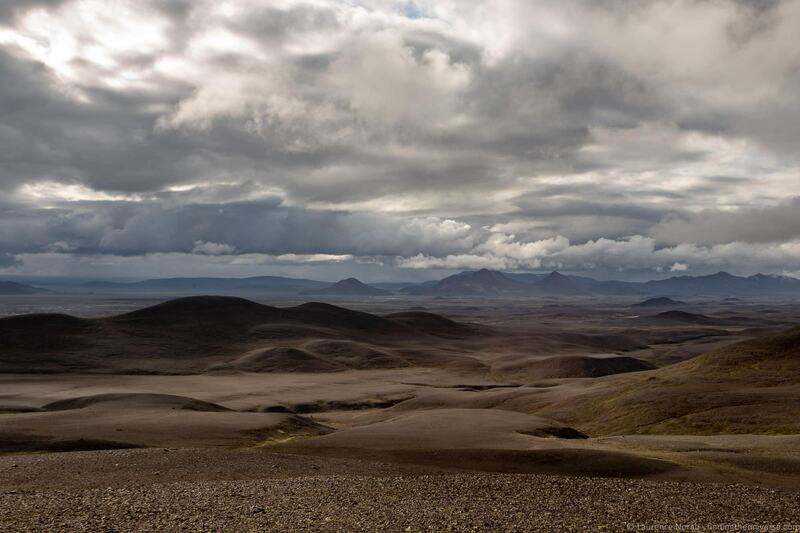 Is it Legal to Drive Off-road in Iceland? How Common Are Single Track Roads in Iceland? Is it Safe to Drive in Iceland in Winter? Can you Drink and Drive in Iceland? Do you Need to Drive in Iceland? Below I answer 11 of the common questions that you may have about driving in Iceland. These are all the things I would have wanted to know the first time I visited Iceland, and they should help you with your Iceland road trip planning. Speed limits are of course displayed on signs, and will sometimes be lower than the above, so always keep an eye out for road signs indicating the speed limit. For those of you used to working in miles and miles per hour, 90km/h is approximately 55mph, 80km/h is approximately 50mph and 50km/h is around 30mph. You can drive in Iceland with the driving license from your home country as long as it is printed in Latin characters and features both a license number and a photo of you. This means that most European licenses, as well as licenses from the USA, Australia, New Zealand and many other countries are likely to be accepted. 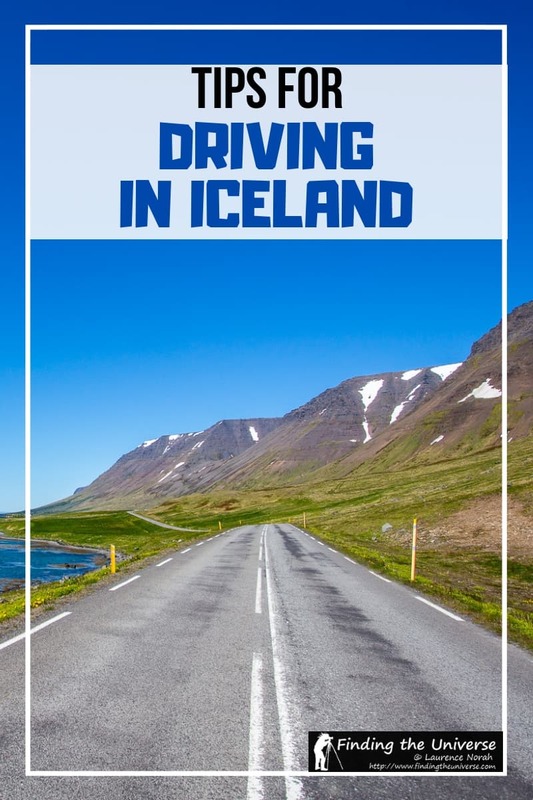 If your license doesn’t meet these criteria, you will want to get an International Drivers License, also known as an International Driver’s Permit (or IDP) before you travel to Iceland. You’ll need to check with your local government driving agency to find out how to do that. Also, be aware that many rental car companies will require you to have held your driver’s license for at least a year before they will rent you a car. Note that many rental companies also have other restrictions, including a minimum age. The minimum age varies depending on the rental agency, but is usually around 20. In additional, most rentals charge a premium for drivers under 25, and there may also be restrictions on the type of car they will hire you. 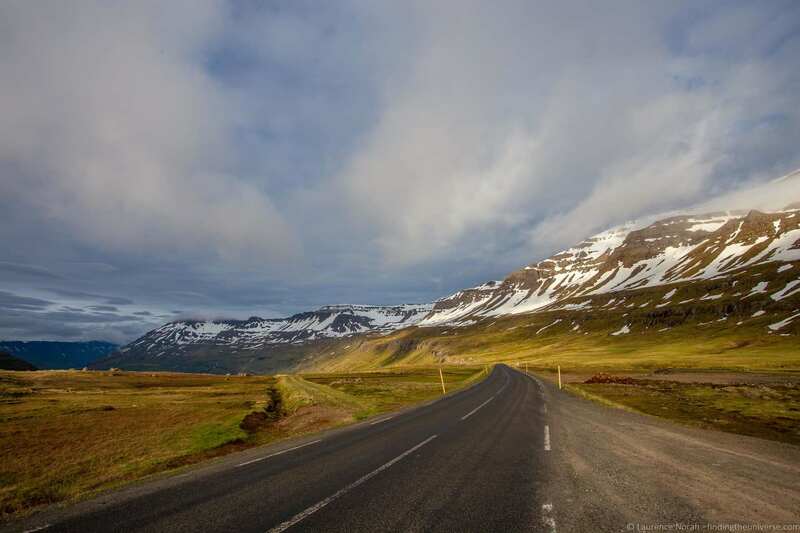 For this reason, younger visitors to Iceland may consider taking guided tours or public transport instead of driving, and you can see our list of alternatives to driving in Iceland further on in the post. In Iceland cars drive on the right hand side of the road, as they do in most of Europe and the USA. 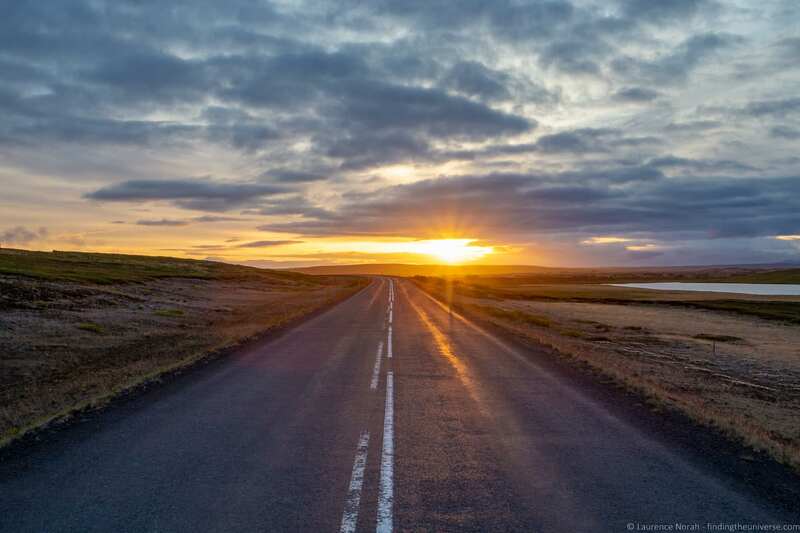 The predominant road surface in Iceland is sealed asphalt, and the majority of sights and attractions in the country can be reached on these paved roads. 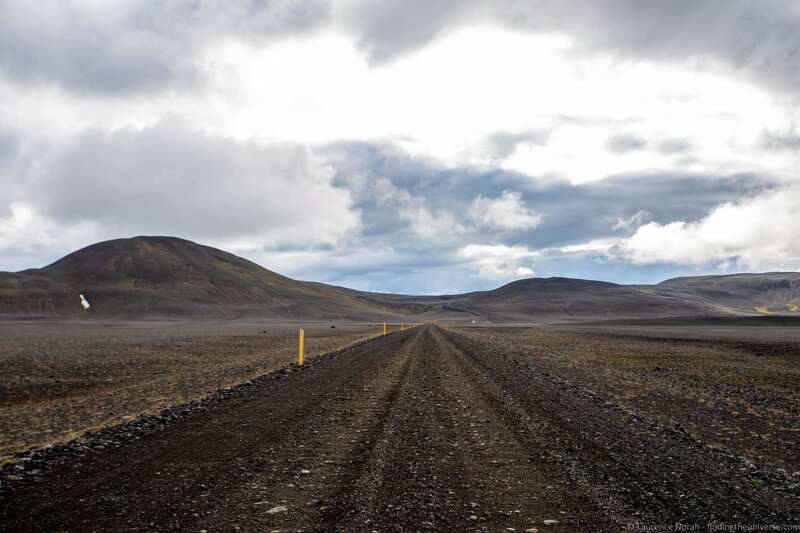 If you are driving the Iceland Ring Road, you will find that this is nearly all paved for example, with just a small stretch of unpaved gravel in eastern Iceland. There are however lots of stretches of unsealed road in Iceland, which is usually a gravel surface. These vary greatly in condition – some are perfectly fine to drive with a standard two wheel drive car, whereas others will require a four wheel drive. There is also a specific type of road in Iceland known as an “F” road. These are found in the high parts of the country, also known as the Highlands, and these are usually the roughest roads. They are often closed for much of the year due to snow, and when open they require a four wheel drive vehicle. Note that if a road requires a four wheel drive vehicle, it will usually have very large signs at the start of the road making it clear what kind of vehicle is suitable for these roads. If it specifies a four wheel drive, it will mean a proper high clearance four wheel drive SUV type vehicle like a Jeep, not a normal vehicle with four wheel or all wheel drive. Driving the wrong type of vehicle on a road is highly inadvisable, and you absolutely will not be covered by your rental car insurance if you suffer any damage or get into any vehicle trouble. In addition, if a road is closed (there will be a big “road closed” sign), it is illegal to drive on it, and you will incur massive fees if you get stuck out here in your rental car and require recovery. 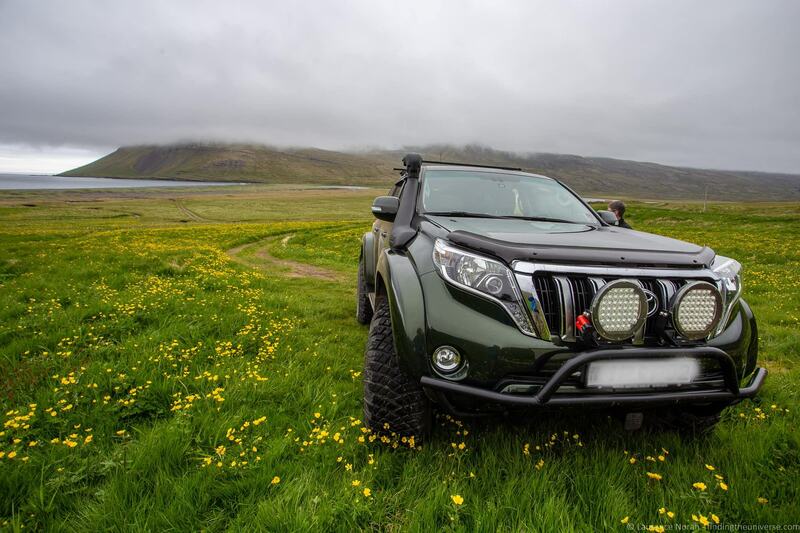 It’s illegal to drive off-road in Iceland, and fines for driving off-road are significant. Essentially if there is no marked track or route, you can’t drive there. The reason for this is that whilst the Icelandic wilderness might look rugged and tough, the reality is that this is a delicate ecosystem, and the damage done by vehicles can be both extensive and lasting. The landscape also takes hundreds of years to change, so those tire tracks are going to be around for possibly decades to come, leaving an ugly legacy for generations to come. 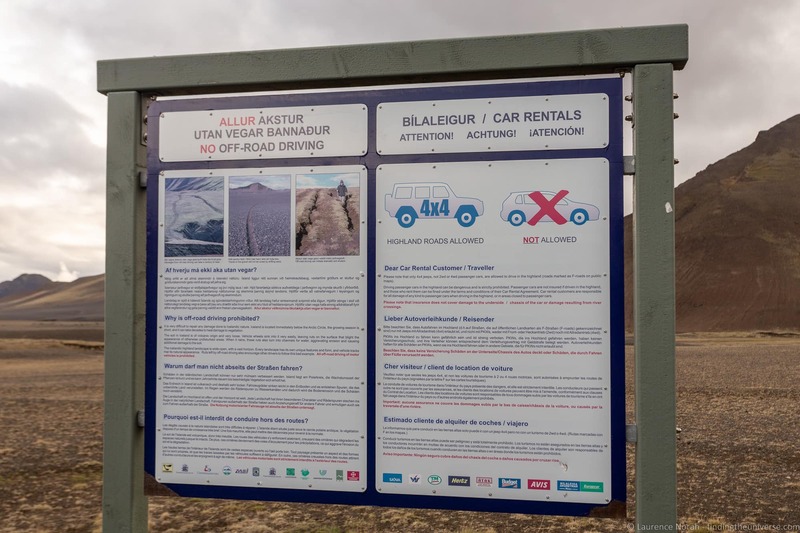 So we’d highly urge you not to be tempted to go off-roading in Iceland, obviously it’s not only illegal, it’s highly irresponsible. You might be wondering why, with this law, there are so many oversized and off-road capable vehicles in Iceland. The reason is that many of the tracks in Iceland are very rough, and some have difficult river crossings. Snow and ice can also make driving these roads difficult. So whilst technically these vehicles might not be “off-road” in the true sense of the word, the tracks they will be following will only be passable by rugged and specially adapted off-road vehicles. The majority of roads in Iceland, especially those you are likely to drive as a tourist, are dual lanes, i.e., there is one lane for each direction of travel. However, there are some situations where there will only be one lane for both directions of travel, and vehicles have to give way to each other. You are most likely to encounter single-track roads in Iceland at bridges. Many of the bridges on the Ring Road for example are single track. Usually single-track roads are operated on a first come, first serve basis, meaning that the first person to arrive at the bridge will have right of way. Some longer bridges and tunnels have passing places that you can use to let other vehicles pass. For advice on how to pass on these roads, and general tips for using single-track roads, see our detailed guide to driving on single track roads. The answer to this is that it depends. 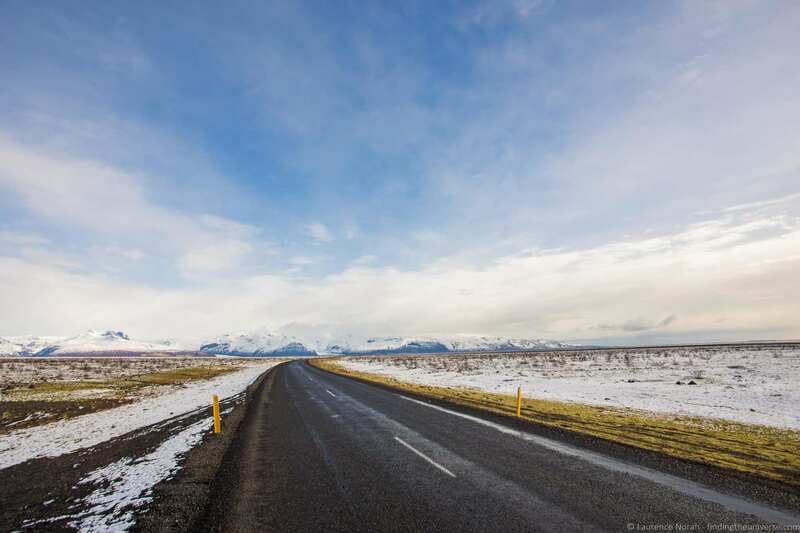 Generally, driving in Iceland in winter is safe; however the weather conditions can make road conditions dangerous, and roads are often closed due to poor conditions and the build-up of snow. For this reason, we recommend if travelling in Iceland in winter, you focus your trip on a smaller area, such as the highlights around Reykjavik and the south coast, rather than tackling something like the ring road. We have a seven day itinerary for Iceland in winter, as well as a five day Iceland itinerary, which would be good options. If you hire a car in Iceland in winter, we’d advise requesting studded tires for added safety, and perhaps a four wheel drive for added stability. For more advice, take a look at our guide to driving in Iceland in winter. We have rented cars in multiple countries around the world, and without doubt, Iceland is the country with the most bewildering (and expensive!) array of insurance options for car rental. These insurance options cover a variety of scenarios, many of which are unique to Iceland, and it will be up to you as to which you deem important. Just be aware that repairs to vehicles in Iceland are usually very expensive, so the insurance can be worth taking. As a starting point, all cars in Iceland have to have third party liability insurance by law. Usually this will be included with the rental, and will be part of the Collision Damage Waiver (CDW) insurance. CDW covers the vehicle for damage done in a standard accident. You might think that this is all you would need. Unfortunately, this is not the case, as the CDW usually comes with a crazy excess fee, which will often be in the thousands of dollars. So even if the damage is covered by the CDW, you will still be liable to pay the excess. The next step up is the Super Collision Damage Waiver (SCDW). This covers the same thing as the CDW, but the SCDW usually brings the excess payable down to a reasonable amount. We would highly recommend getting the SCDW as a minimum in Iceland. Then there are a number of other options you will usually be presented with. These will be things like gravel damage, sand/ash damage, theft protection and so on. Gravel damage will cover damage done to the car as a result of driving on the gravel roads in Iceland, as usually covers things like chips to the paintwork or windscreen chips. We’d definitely recommend this one. Sand/ash damage is an insurance that covers you from damage done to the car as a result of high wind blowing sand or ash onto the vehicle – this is particularly common in the south of Iceland. It can also cover you in the case of a volcanic eruption. Whilst this is an uncommon occurrence, if it does happen the fine abrasive ash will quickly destroy a cars paintwork. Overall, these various options can add up. Our suggestion, if you want to hire a car in Iceland, is to look at this car hire portal for Iceland, as they include the prices of these various insurances up front, so you can make an informed decision before you visit the country, without feeling pressured at the sales counter when you pick up the car. They also include a discount if you choose to go for all the insurance options for peace of mind. 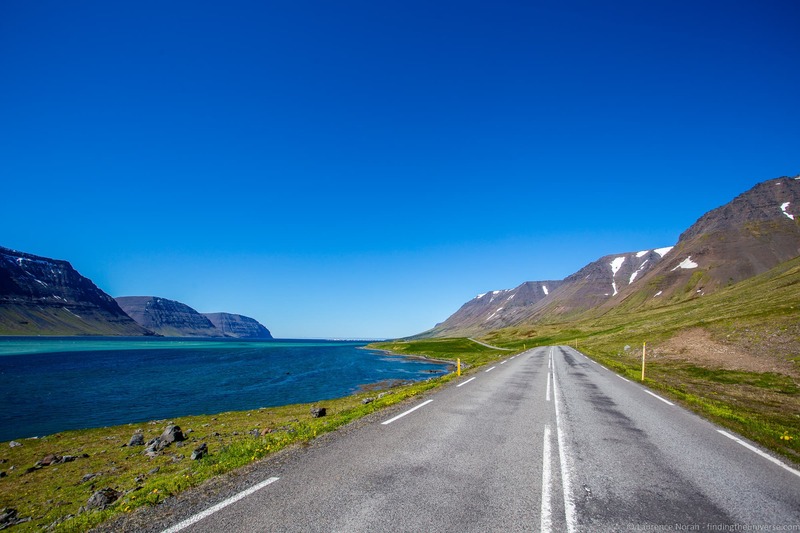 In our experience, the agents at the hire car counters in Iceland use sales tactics to push these insurance options, and whilst they certainly can be necessary, the choice is yours as to which you take. We would also add that whatever insurance you go for, and however comprehensive it is, it will still have some exclusions. For example, as far as we know, no insurance covers damage as a result of river crossings, or damage to the undercarriage of the vehicle. So do be aware of that – even if you rent a four wheel drive vehicle, with full coverage, there will still be types of damage you aren’t covered for. And of course, if you drive off-road or on closed roads, you will absolutely not be covered. 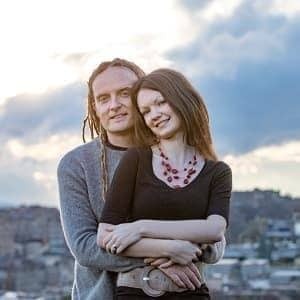 Finally, we just wanted to say that we are not legal experts, and insurance in Iceland is complicated (as with everywhere), with lots of small prints in the contracts. So whilst we have done our best to go through the options as clearly as we can, don’t take our advice as gospel or as legal advice. Always read the terms and conditions of any insurance you purchase to make sure it fully covers what you want, and know what the exclusions are. There is a good selection of gas stations across Iceland, and purchasing gas is usually just a question of finding the nearest gas station, filling up and paying. In populated areas, most gas stations have you fill up the car, and then go inside to pay at the counter. These gas stations are also home to small cafes and/or fast food chains, and eating at these can be a good way to save money in Iceland – see our guide to budget travel in Iceland for more tips on this. In more remote parts of Iceland, gas stations are often unmanned, and you will need a credit card to pay for gas. These gas stations have instructions available in Icelandic and English, as well as a number of other languages, so just follow the on-screen instructions after changing the language to English (usually there’s a British or American flag symbol on the screen somewhere which you press to put the instructions into English). In our experience, gas prices did not vary greatly, especially within different regions of the country, so there wasn’t a great deal of point shopping around. You can see current gas prices in Iceland here – as with most things in Iceland, it’s relatively expensive. The only tip for saving money on gas in Iceland is to check the key fob of your hire car – some come with a little fob that will carry the logo of a gas station brand like Olis, which you can use to get a discount on fuel at the time of payment. Note that this discount fob applies to food and other purchases, not just gas, so if you have one of these fobs don’t forget to use it – you usually hold it against an electronic reader before you pay your bill to have the discount applied. They also work at self-serve gas stations. Iceland has strict drink driving laws, with the blood alcohol content limit for drink driving currently at 0.05%. In 2018, it was proposed to reduce this to 0.02%. This is a pretty strict limit. By comparison, England and the USA are at 0.08% (depending on US state). It’s also very hard to judge exactly how much alcohol will take you to this limit, as there are so many factors including body weight, food you’ve eaten, and more. Generally though, you can easily reach the Icelandic limit with half a pint of beer, or a small glass of wine. As such, we would highly recommend against drinking and driving. The fines are high (70,000 ISK minimum), and it’s just not worth it. Headlights: It’s a legal requirement that you have headlights on at all times, day and night. These should be dipped so as not to blind oncoming drivers. Cell phone use: Using a cell phone when driving is illegal, unless it is hands free, and carries fines. You don’t have to drive to explore Iceland, so if after reading all the above the thought of driving in Iceland has you in a cold sweat, fear not. Here are some alternative options to driving in Iceland that you might find useful. One of the easiest ways to explore Iceland without hiring a car is to to base yourself in a city and take day trips. For example, we have a whole post dedicated to some of the best day trips from Reykjavik. Reykjavik makes an excellent base for exploring much of Iceland’s south coast, west coast and the golden circle, and you could easily fill a week by doing activities from the city. For example of some of the available options, you can take a a puffin watching tour, a Northern Lights tour, a tour to the Snæfellsnes Peninsula, a Golden Circle tour and a south coast tour to the glacier lagoon – to name but a few of the options! It’s also possible to base yourself in other parts of Iceland, for example Akureyri makes an excellent base from which to explore the north half of Iceland. This also carries the advantage that you can keep yourself in one location, and save yourself from re-packing your suitcase every day as you move around the country. Of course, it’s not going to work if you want to drive Iceland’s Ring Road for example, but it’s a great option for seeing some of Iceland’s highlights without driving. Another option instead of driving yourself is to take a multi-day tour – either a group tour or a private tour, depending on your budget. Group tours are an excellent way to see a Iceland with minimal fuss, with someone else worrying about the lodging, driving and itinerary, letting you just relax and get on with the sight-seeing. Group tours are available from as short as two days up to longer than two weeks. We have a detailed list of some of the best guided tours of Iceland here, which should give you lots of ideas to help you pick the perfect Iceland tour for you. As an overview though, here’s a two day group tour of south Iceland, here’s a five day Reykjavik, Golden Circle and Snaefellsnes Peninsula tour, and here’s a 9 day complete tour of Iceland. See more options for group tours in Iceland on the Iceland Travel website here. Finally, the last option we suggest you think about is to either use public transport or a bus passport. Bus passports are available in the summer months, and these get you to the major attractions in Iceland. Prices vary depending on duration and how much of Iceland you want to include, but these can definitely be a cost-effective option if you really don’t want to hire a car. Fore more on bus passports and bus passes, check out our Iceland money saving tips. Public buses are an option for getting between the major towns in Iceland, but we’d generally recommend against them for any other use, as they don’t stop at the major sights, so you’ll miss a lot choosing this option. And that finished our guide to what to know before you drive in Iceland! Now, to help you finish planning your trip, we’ve got a whole series of guide and content on Iceland which should give you lots of information and inspiration. We have a detailed guide to help you planning a trip to Iceland, which has everything you could need to help you plan an awesome adventure in Iceland, from budget tips to practical information and more. A must read and a good place to start your trip planning! We have a detailed guide to driving in Iceland in winter to help prepare yourself for the specific conditions of Iceland in winter. And that’s it! If you’ve got any questions or feedback on the above, just let us know in the comments below, and have an awesome trip in Iceland! Please note that we are not legal or safety experts, and all the advice we provide above is for informational purposes only, it should not be taken as legal advice or official safety advice. It’s important to read up on the rules of the road for any country you visit, so you can be sure that you are driving safely and legally. Just Brilliant, Thanks for sharing such useful Information. This was truly a great read for me we are off to Iceland a couple of weeks time with the same plan , so useful as we taking my DSLR and doing the whale watching trips etc. also you tips on many thing have been a great help, almost forgot the travel plugs !! Thanks Paul – have a great trip! Nice blog! Thanks for sharing important Information with us.